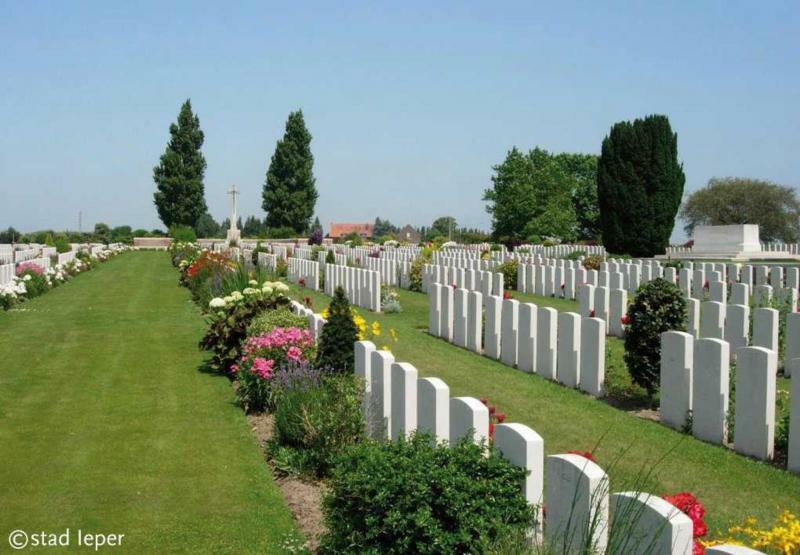 This large Commonwealth cemetery lies just of the northern ring road of Ieper. It was created in 1917, after this zone had been declared ‘safe’ following an Allied advance. Before that, it had been in the front lines. New Irish Farm Cemetery originally contained just 73 graves. After the war, a further 4,500 burials were added, as a result of battlefield clearance or the consolidation of other smaller cemeteries. 70% of the casualties here are unknown.